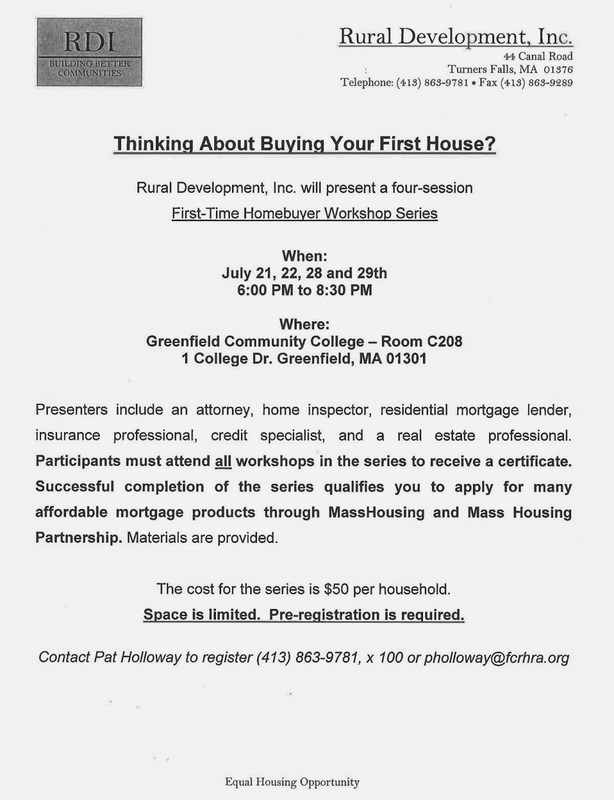 The first-time homebuyer workshop is scheduled for July 21, 22, 28 and 29th starting at 6:00 p.m. It is conveniently located at Greenfield Community College . The session is informative and I think you will find it very helpful. Sign up today!